Getting rid of unwanted body hair is time and effort intensive if one uses methods like waxing, shaving, epilationor threading. Laser Hair Removal (Tech-Cool Laser) treatment offers a effective solution to the problem of unwanted hair. Be it facial, underarms, chest, arms,legs,bikiniline or back; for bodily hair in any area, for both men and women, Laser hair removal is a safe and effective option. This FDA approved treatment uses laser energy or ‘intense pulsed light’ to target the hair follicle directly. Pigment or melanin in the hair absorbs the light in the form of heat and destroys the hair from the root. The laser targets only the hair follicles without damaging the surrounding skin. If you are looking for Laser Hair Removal, visit Life Slimming and Cosmetic Clinic in Hyderabad,Vijayawada and Vizag. Laser hair removal is a widely used technique to achieve effective hair reduction. SWaxing is a popular method but needs to be done quite often and can be painful and messy. Shaving, another common method,also needs to be done frequently. But with Laser Hair Removal, you can have clean and smooth skin forever. Underarm hair is usually subject to shaving. Razor irritation can lead to discoloration over time. Discoloration due to frequent shaving can be avoided with laser hair removal treatment. Unwanted hair on upper lip, in-between the eyebrows, chin, neck, side locks, and ear lobes can be easily treated with Laser Hair Removal (Tech-Cool Laser).It eliminates the need for frequent plucking and threading by getting rid of facial hair safely. Too much chest hair for men is not desirable. Laser hair treatment can be effectively used to completely remove chest hair or thin the density of hair if needed. A comprehensive evaluation of the area to be treated is conducted to understand your skin type, sensitivity and hair growth. You will also be informed about the general precautions to be taken in the weeks before and after the Laser hair Removal treatment. A couple of days prior to the actual treatment, apatch test on a small area of the skin is carried out. This is to determine what level of laser is required and tolerated for your skin and hair type.This will also give you a fair idea how your skin responds to the treatment. 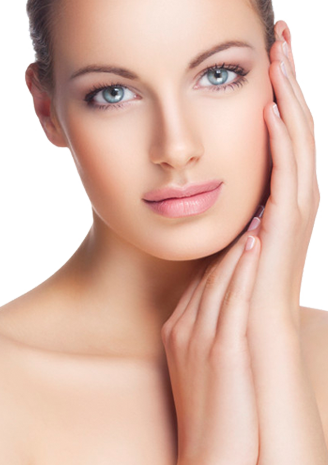 Your skin is cleansed of any cosmetic traces or excessive oils. An anaesthetic gel is applied. Laser energyis focused directly on to the hair follicles using a hand-held device. Based on the colour, thickness and the area being treated the power, size, and pulse frequency of the laser is adjusted. Each session may last anywhere between half an hour to an hour depending the body part being treated. For best results, a minimum of six sessions are recommended for everyone, could vary by individual. And, each session is spaced one month apart from the other.